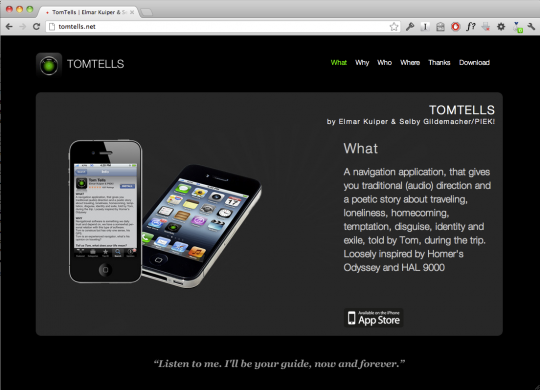 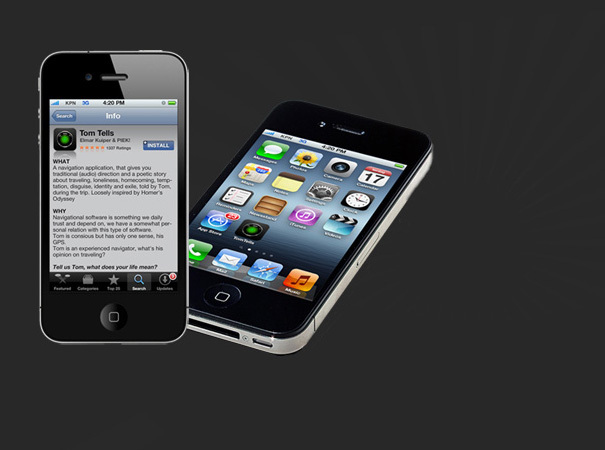 In collaboration with poet Elmar Kuiper, we developped an iPhone app called TomTells. 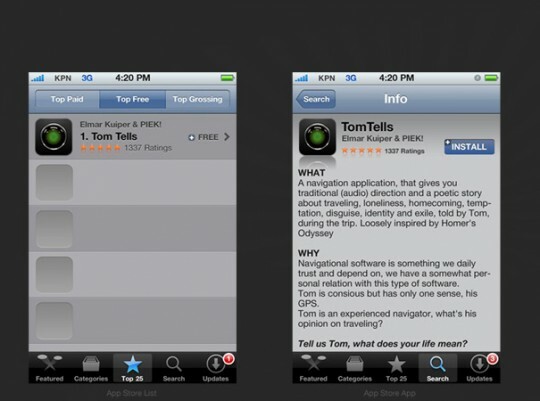 – An navigation application, that gives you traditional (audio) direction and a poetic story about traveling, loneliness, homecoming, temptation, disguise, identity and exile, told by Tom, during the trip. Loosely inspired by Homer’s Odyssey and HAL 9000.
very personal? 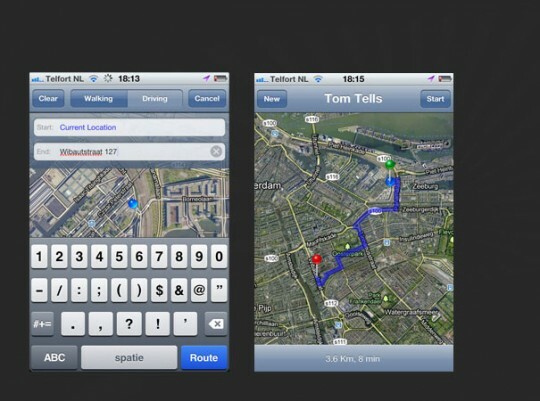 – Tom is consious but has only one sense, his GPS – What does ‘life’ mean when you have juste one sense – What is Tom’s opinion on traveling? in collaboration with Stedelijk Museum.